Leak Detection is a service that equips our inspectors with powerful technology to take your inspection a step further. We offer this service either as an add-on to a home inspection (at a discounted rate) or as a stand-alone service. 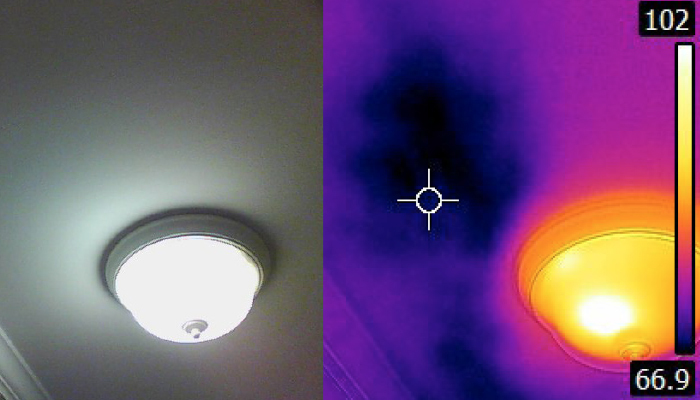 Leak detection utilizes thermal imaging infrared (IR) cameras that can identify moist or damp areas even if behind the drywall or under the carpet. We verify all findings with a moisture meter and often are able to identify the source of the problem. This service is highly recommended as an add-on to any home inspection as some slow drip leaks are not visible without this technology.